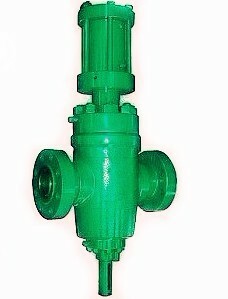 API 6A Gate Valves provided by CCSC are field proven valves which strictly designed and manufactured according to API 6A and API Spec Q1 by forging or casting AISI 4130/4140 low alloy or AISI 410 SS steel. Some extreme materials for extreme service, such as Inconel or Duplex stainless steel are available as well. 2. Metal-to-Metal seal, gate to seat, seat to body, bonnet seal and stem backseat. 4. All internal parts can be inline changed. 5. Heavy duty thrust bearing is used to absorb stem thrust and reduce operating torque. Hydraulic Gate Valves provided by CCSC are available in size from 1 13/16” to 7 1/16” and pressuring rating from 2,000psi to 15,000psi. 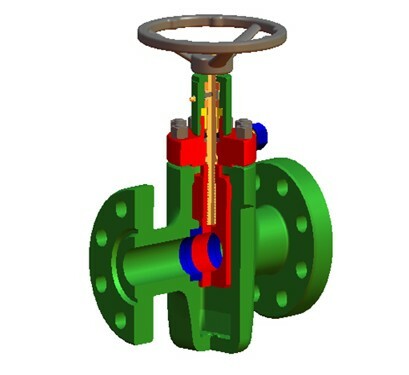 the gate valves are strictly designed and manufactured according to API 6A and API Spec Q1 by forging or casting AISI 4130/4140 low alloy or AISI 410 SS steel, the actuators are designed with safety and suitable for all kind of gate valves. 5. Easy maintaining and disassembling. 6. 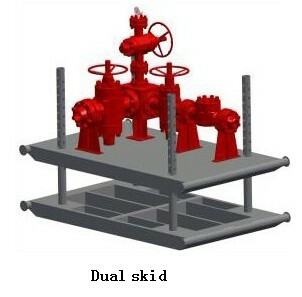 Optional overpressure protection, compound-springs design for improving its stability.